You are invited to join us at DeKalb County Day at NIU Basketball’s doubleheader on Saturday, January 12th at 1:00 PM! We will be celebrating DeKalb County and Victor E.’s Birthday throughout the day. 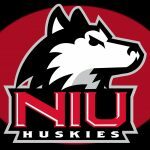 The NIU Women’s Basketball team take on the Central Michigan Chippewas at 1 PM, while the Men’s team host the Akron Zips at 3:30 PM. Local mascots from Chicagoland sports teams will be at the Convo to help celebrate Victor E’s birthday! -Kids Zone: Shoot hoops or jump on the inflatables prior to each Double-Header Game!